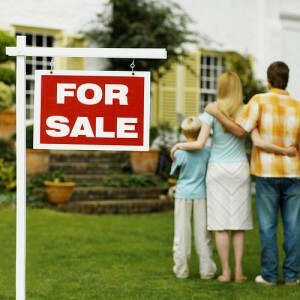 Are you finally ready to sell your house? Having a professional real estate agent on your side is a smart investment—not only will he help you navigate all the steps of the complex process, he can negotiate a better price and help you avoid expensive mistakes. But not all agents are equally effective. In order to make sure you’re getting someone who will ultimately help—and not hurt—you during the sale of your home, you’ll want to make sure you’ve got someone who knows what he’s doing. Some agents just want to make the seller happy at the beginning of the process, and will initially agree to sell the home for whatever price the seller asks for. But a home that’s priced too high will languish on the market. It may be ignored by “good fit” buyers because it’s out of their price range, while higher-range buyers will pass over it. This can waste weeks or months of the seller’s time. An overpriced home is also a tough sell to the bank. If the appraisal of your property doesn’t match the listing price, it can delay the process as well. In the end, the seller will probably have to reduce the price anyway, but will have lost a lot of valuable time in the process. If your potential agent is willing to talk frankly with you about your home’s real value and can back their suggestions up with market statistics, that’s a good sign. But if he’s willing to agree to whatever number you throw out just to make you happy, it may be time to reconsider. Moving can be emotionally draining—especially when you have to coordinate it with your children’s school schedule or with the start of a new job. While an agent isn’t a miracle worker (there are, after all, a lot of variables and moving pieces when it comes to selling a home), your agent should at least understand your timetable and be willing to do what she can to move the process along. If the timetable you propose just isn’t workable, she should be honest and let you know that right at the beginning. But if a potential agent doesn’t seem interested at all in your concerns about timing, that doesn’t bode well for a good moving experience. We’ll continue later on this week with other red flags to watch out for. In the meantime, if you’d like to put one of The Haro Group agents to the test, give us a call or shoot us an email. We’ll set up a meeting with one of our listing agents so you can see for yourself if they meet the standard!